Goals For My Blog In 2019! Blogging has taught me so much over the years, but two things have stuck out to me the most. The first thing is confidence. I struggled with my self esteem, but blogging has since boosted my confidence. Writing has made me feel important and I am proud of myself. The second thing is very important, this platform gives you a chance to show everyone who you are and what interests you. You might say why is this an important factor when blogging. I’ll tell you why if you’re a shy person like me, sometimes expressing how you feel and showing people what you like is hard to do in person. So having a diary on the internet gives people an idea of who you are. The cool thing about it is that you find others who enjoy some of the same things as you do. Not to stray away from the point of this post, but I thought I would share this. It’s not totally random but I do have a point in this situation. In a previous post I wrote about blogging, I explained why writing wasn’t fun for me anymore. I said that I was stuck and I felt like I was forced to stay in one niche. But the whole time I was not blogging I was slowly trying to find my passion for this again. During that time I realized that I need to write what makes me happy and if people enjoy reading my blog, they will come back. So with that being said I’m very optimistic about my blog and excited for the posts I have written. When I write my goals it’s to share with other bloggers and non bloggers, but it is a reminder to myself to keep going. Practice makes perfect, we’ll nothing is perfect but you know what I mean. It’s nice to know that you’re not alone and that’s what I want my blog to be for people. I want others to know that we have similarities between us and we can laugh and talk about them through the computer. I want others to feel comfortable while reading a post. More importantly I want everyone to feel like we’ve been friends for a long time. Not to toot my own horn, but I’ve come a long way on my photos. I have changed a lot of old photos, because I didn’t either have any to begin with, I didn’t like them or I needed to change my watermark on them. But I’ll talk about photos in another post. There is always a lot you can learn in any craft you want master in. Whether it’s lighting, position, backing, adding details like props and whatever the case may be. For me I still have things to learn. Maybe I’ll share all of the tips and tricks I have learned, but for now I’ll probably write a post on other websites you will probably find more helpful! In my older posts I have always had a love/ hate relationship with makin lists and schedules for my blog. I can’t believe I’m going to say this, but it’s actually important. I want blogging to be more than just a hobby, I want to take it more serious while still enjoying it. I hope that makes sense to you. It’s not all bad having a plan and maybe I became stuck with my writing because I had no plan of what I actually wanted to write about. I feel like this hindered me of being where I wanted to be at this point in my blogging life. I do support other bloggers, but I definitely could be doing more. I retweet and like posts, I follow blogs and social media links. But as far as commenting on blog post, I’m embarrassed to say that I’ve been slacking in that aspect. Not because I didn’t want to and I don’t want to make excuses, but I was trying to stay away from blogging as a whole last year and part of the year before that. But it’s very important that we support each other because we are in this blogging thing together! I have always had a very hard time promoting my posts. It’s like I don’t want to spam everyone’s timeline with my blog, but that is the only way for people to read it. In the past I have used buffer and hoot suite and both are very helpful. 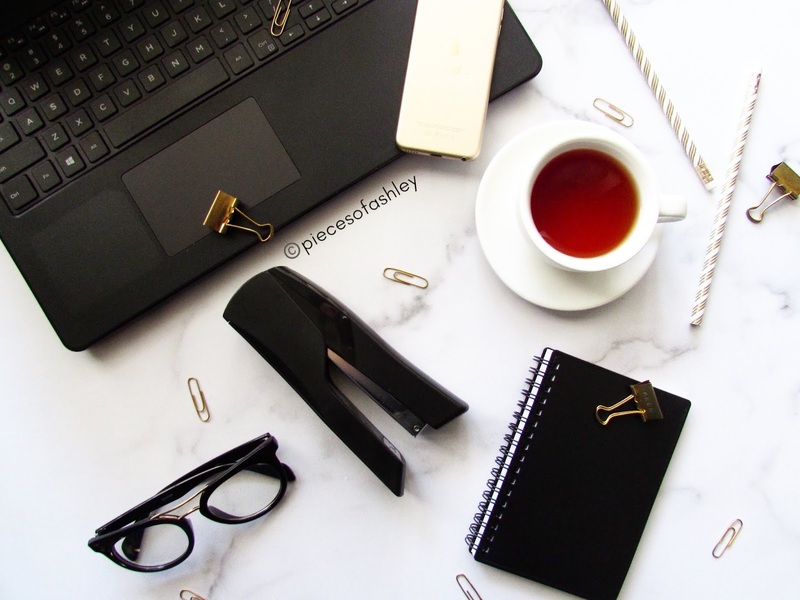 I hope you enjoyed reading and if you have any goals for blogging feel free to let me know about them! Doing Things Differently In 2019! I’m A Proud Introvert And I Approve This Message!